in the porch of a quaint, old bungalow in khotachi wadi, on a quiet morning. other photos from this set: on flickr or on facebook. or, for more photos from this neighbourhood on this blog, hit up 'khotachi wadi' in the search box on the right. Fantastic. That colour! Seriously, the paint in India outshines any paint store this side of the world. 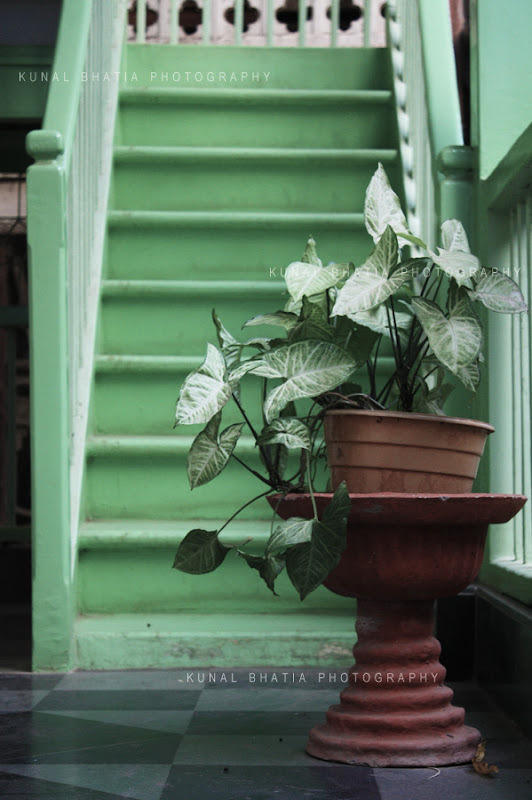 I just love the green stairs...nice composition too!